The great racehorse Zenyatta's misfortune as a broodmare continued this week as the Daily Racing Form reported Wednesday evening, via Equineline, that she has aborted her foal by Into Mischief. Zenyatta has so far produced two foals who made it to the races in Cozmic One, who missed the board in all five of his starts. He is now being trained as a participant in the Retired Racehorse Project. The second horse, Ziconic, is looking for his first win after 12 starts, the most recent of those coming in February. Her racing age foals are by Bernardini and Tapit, respectively. Zenyatta was next bred to War Front and produced a filly who died in a paddock accident before she made it to the races. Given a year off, she was bred again and in 2016, another by War Front survived only days due to issues in his delivery. Zenyatta's Medaglia d'Oro filly, born last May and now a yearling, remains in good health. The Into Mischief pairing followed, with the information provided by Equineline official, as it's filed by connections to The Jockey Club. A daughter of Street Cry, Zenyatta lives at Lane's End Farm in Versailles, Ky. On the racetrack, of course, she won 19 of 20 career starts, defeated only in the 2010 Breeders' Cup Classic while closing on the winner, Blame, late. 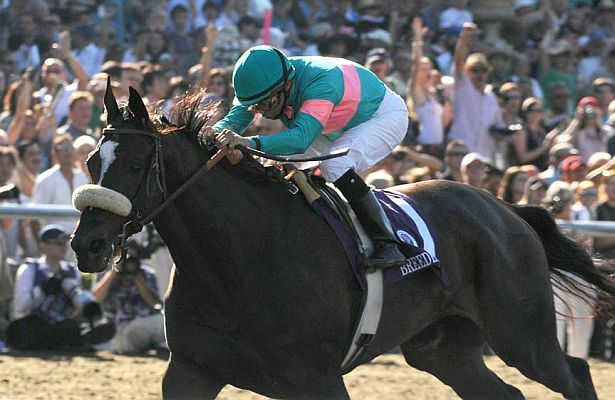 Zenyatta's progeny has so far been sent to her trainer, John Shirreffs, by owners Jerry and Ann Moss.